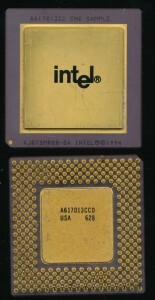 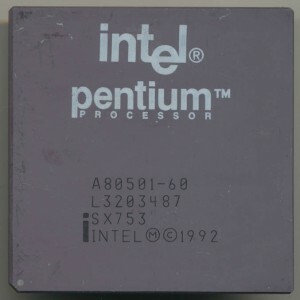 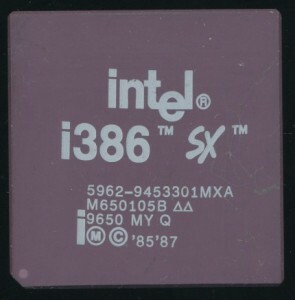 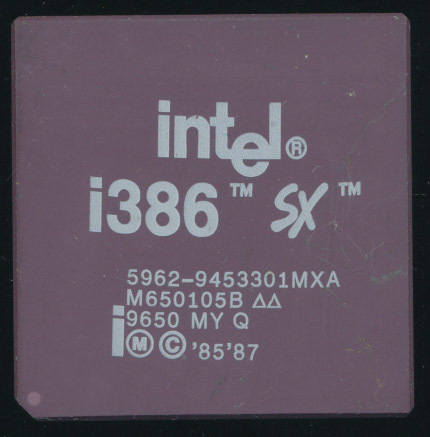 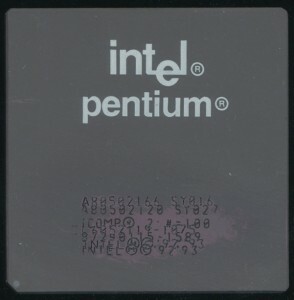 In 1983 memory products were still Intel’s largest source of revenue. 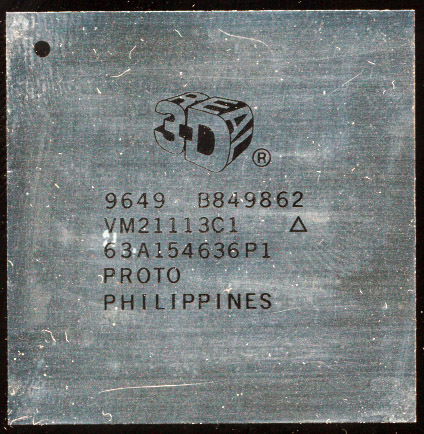 Intel’s first product, the 3101, was a RAM, and until the memory trade wars of the early 80’s continues to be Intel’s bread and butter. 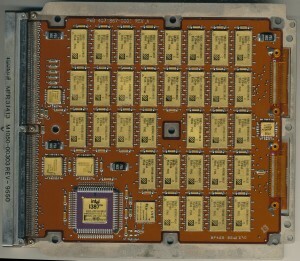 Fab 5, opened in Aloha, Oregon in October of 1978 and its primary product was memories. 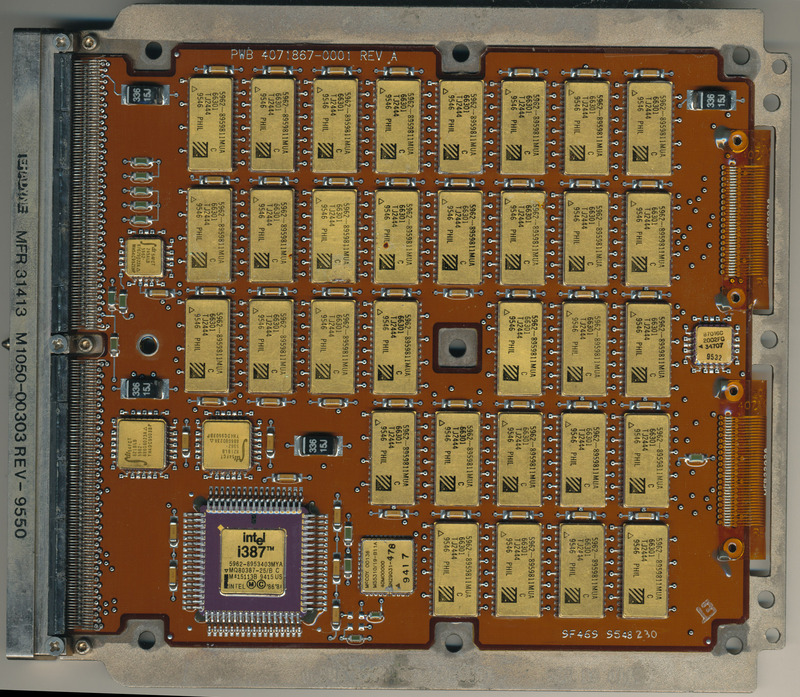 EPROM’s, EEPROM’s, SRAM, and DRAM were all fab’d here, then shipped overseas, and back to Oregon for testing. 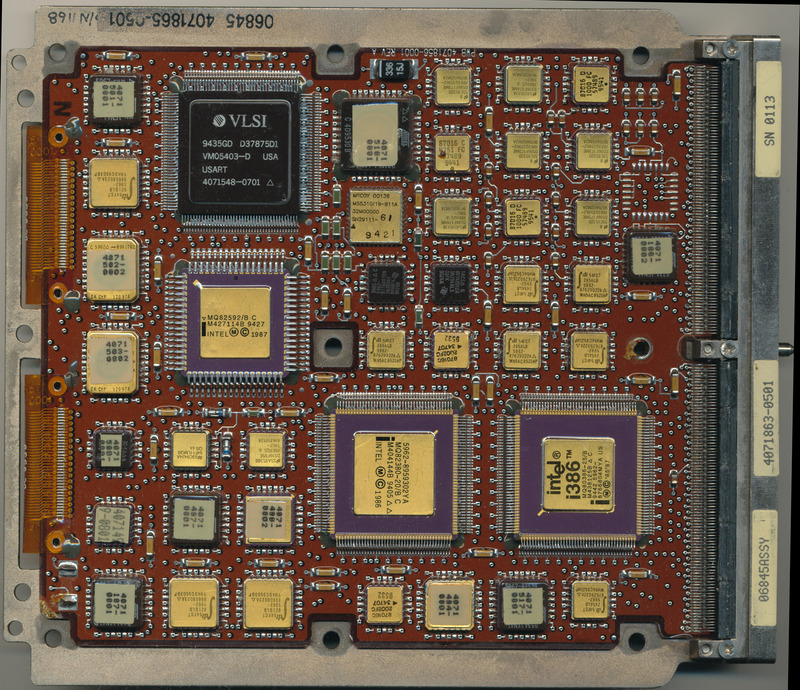 The primary testing facility for the Memory Products division was the T-5 site in Hillsboro, just a few miles from Fab 5. 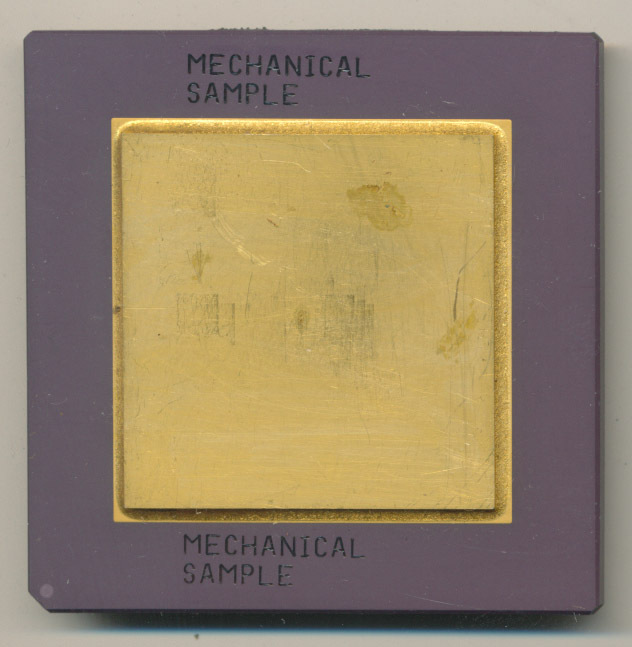 T-5 tested both commercial, and military memory products up until 1985, when Intel exited the DRAM market in its entirety. These OPEN HOUSE sample chips were handed out to employees and visitors at the test site during its annual open house in 1983 (apparently in many of the open houses at that time). 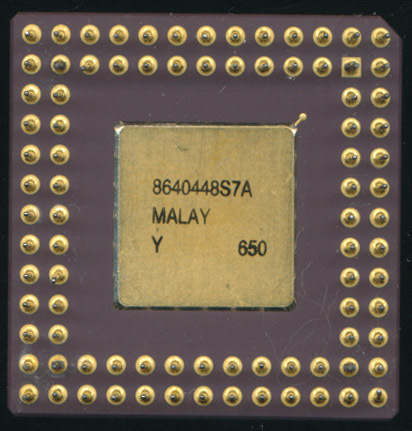 Most likely this chip is a 2186A integrated RAM, a 64K DRAM made on a 1.2 micron HMOS-III process. 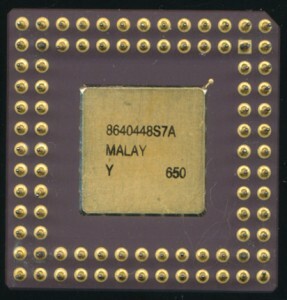 The 2186 was a new design for 1985 and provided a DRAM with the same pinout as a 2764 EPROM. 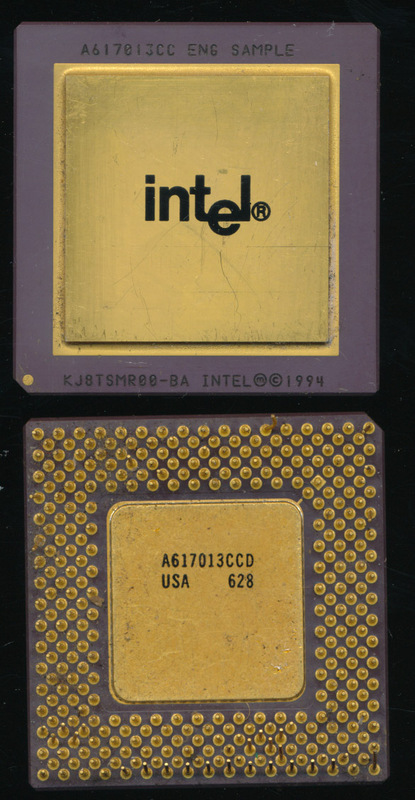 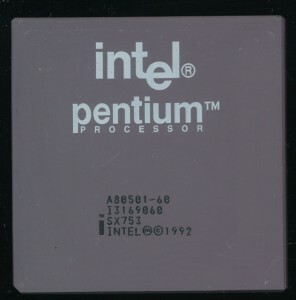 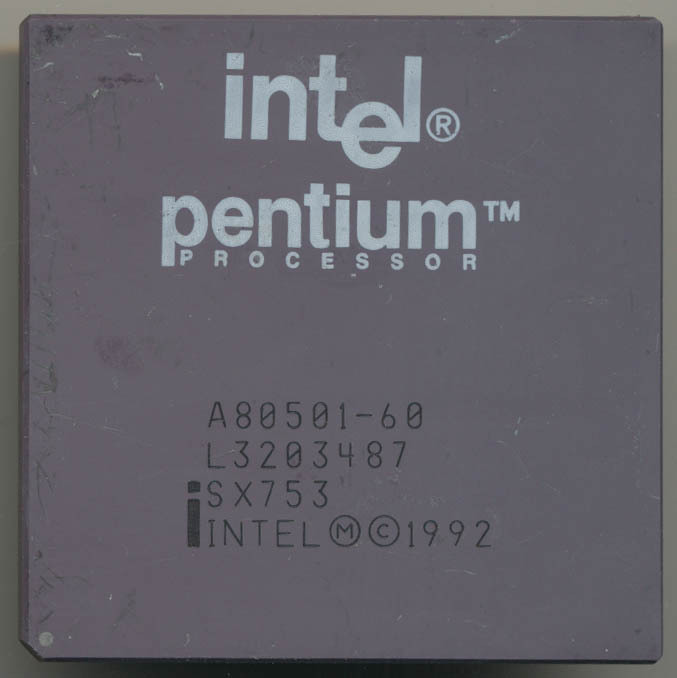 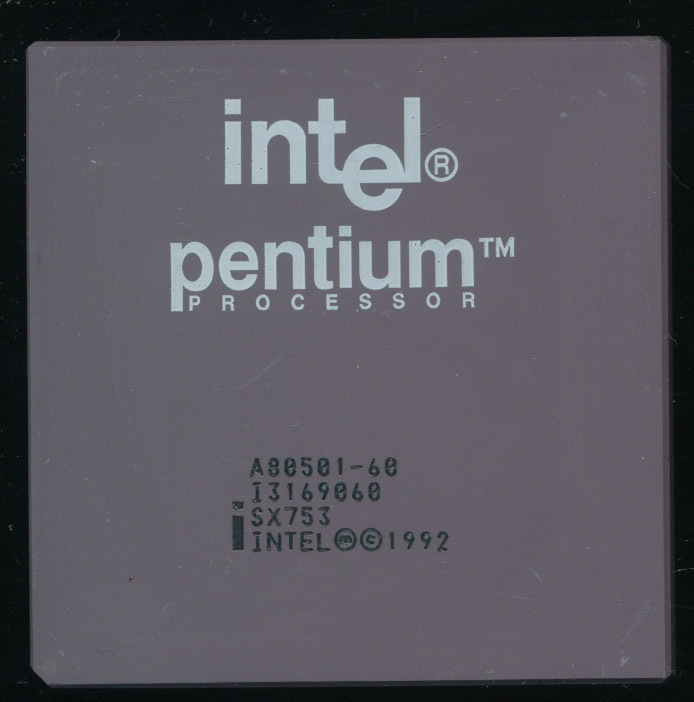 Just like T-5, Intel DRAMs are no more, though the Fab 5 they were made in, which was closed in 1998, was reopened to increase Flash production, the only memory product Intel still makes. 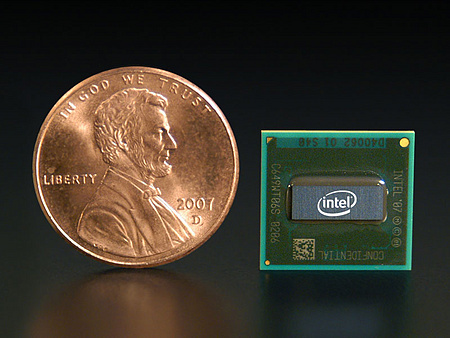 Intel’s exit of the DRAM business was certainly a risky decision back then, but it turned out to be one of the best they made. 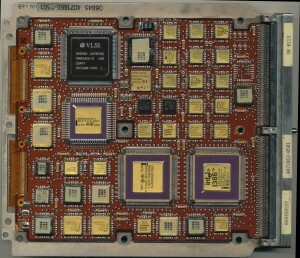 They blamed the exit on the rapidly falling prices do to ‘dumping’ of DRAM’s and EPROMs (sold below cost) from Japanese semiconductor companies, but this allowed them to exit the DRAM business before DRAM’s turned into the commodity they are today, with margins being almost non-existent. 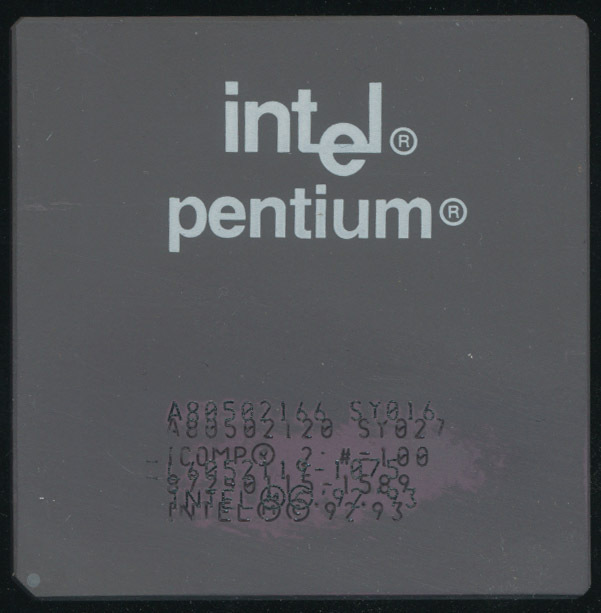 This allowed Intel to focus time, resources (fab capacity was in very short supply then) and money on other products, namely microprocessors and microcontrollers, they very products that have taken Intel from a one of many semiconductor company to world leader. 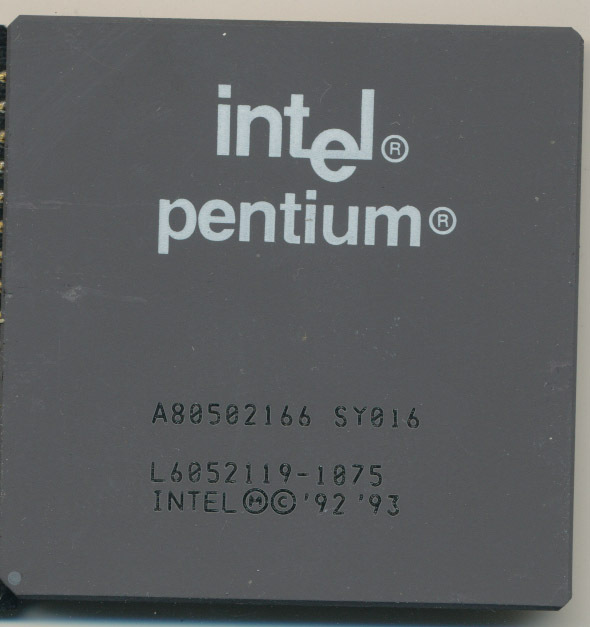 Perhaps they can thank those same Japanese companies they were so upset about back in 1985 for where they are today.